LANSING, Mich. — State Sens. 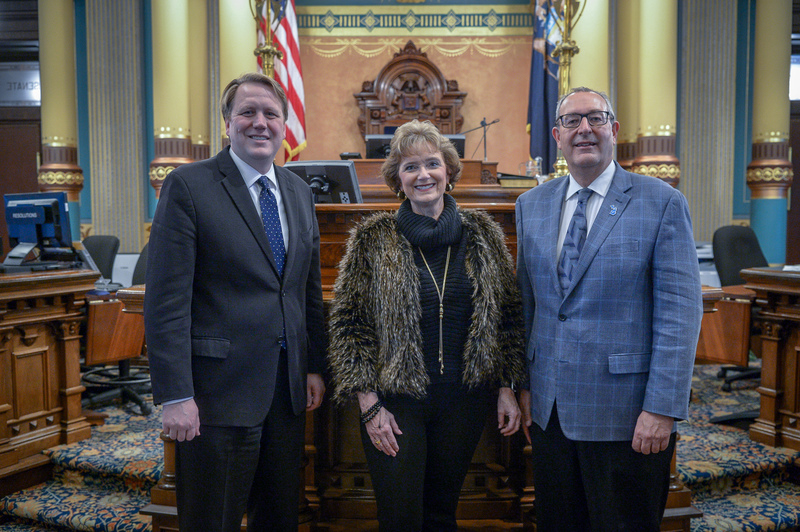 Aric Nesbitt, R-Lawton, (left) and Roger Victory, R-Hudsonville, (right) welcomed Holland Mayor Nancy De Boer to Lansing for Gov. Gretchen Whitmer’s 2019 State of the State address on Tuesday. Editor’s note: A print-quality version of the above photograph is available by clicking on the image or by visiting either senator’s website at www.SenatorAricNesbitt.com or www.SenatorRogerVictory.com. Click on “Photos” under the “In the News” tab.